Specification grade,surface mounted, vapor proof luminaire. 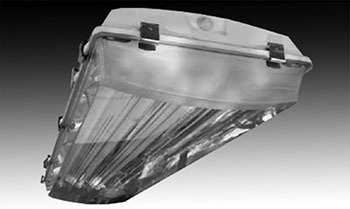 For use in exterior applications where an LED or fluorescent enclosed and gasketed fixture with clear impact resistant lens is required. Available in 4′ length. Several lumen packages available.